Do your students have trouble coming up with topics for writing? Well, use this writing topics guide to help students think about what they might want to write about. *You can place this guide at your writing center. *You can also print multiple copies and tape one at each table group. *OR you can place ONE copy in each child's writing folder. 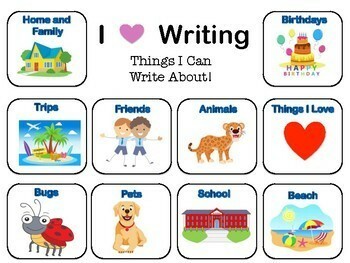 The List of Writing Topics Are . . .